There’s no doubt that data is key for any organization to succeed and to maintain a competitive advantage. However, embracing the efficiencies of the cloud and mobile devices means the traditional corporate perimeter is disappearing. As a consequence, organizations that have adopted disconnected, best of breed data security solutions are now faced with a siloed countermeasure-based approach. Using separate systems make it difficult to gain holistic visibility and to enforce consistent policies across environments. A unified solution that secures data across your endpoints, network, and cloud environments—all from a centralized location—is extremely important. 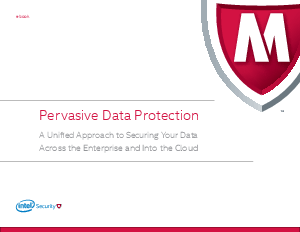 This eBook looks at seven common corporate use cases and how a unified data protection solution will mitigate today’s data risks while decreasing cost and complexity.